There have been plenty of weird tie-ins between fast food franchises and videogames over the years. Foremost in my mind as I write this is the bizarre partnership between Bungie and Pop-Tarts for the release of Destiny 2. But now, I’m not sure that anything will ever top KFC’s foray into the videogame market. You read that right. Earlier this summer, an account called KFC Gaming posted its first tweet. A few weeks later, on September 28, it made something of an announcement. You can check out the relevant tweet towards the bottom of this article, but be warned, I’m not sure it’ll be all that informative. The tweet reads “Player One has entered the game. KFC x Gaming, a match made in heaven. Just a taste of what’s to come, something BIG is coming.” Below that, there’s a video attachment, featuring a montage of esports highlights, and some Fortnite. 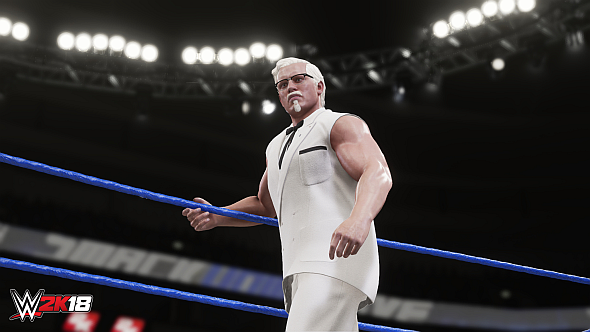 That was normal enough, but then the footage swaps over to that Colonel Sanders/WWE Crossover, and things start to get weird. Honestly, I have no idea what this is trying to be. It could be anything from an esports tie-in, to game development, to KFC gaming cafes. That last option sounds pretty gross, if you ask me, but I guess we’ll have to wait and see. At the moment, this seems to just be a UK-focused initiative, but it’ll be interesting to see what KFC actually has planned, and whether their gaming ambitions are likely to spread across the pond.